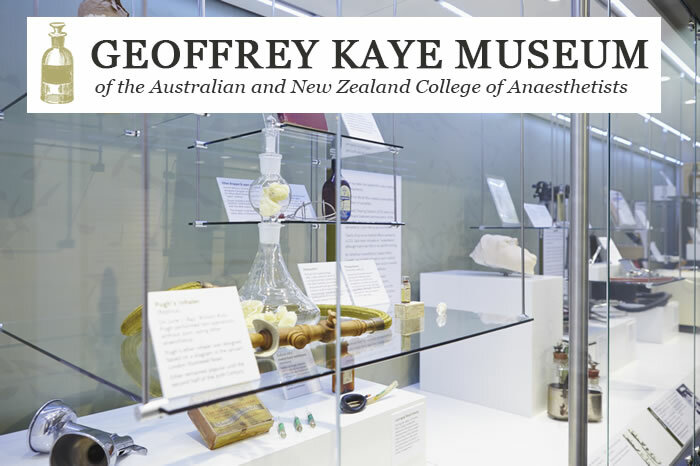 The Geoffrey Kaye Museum of Anaesthetic History showcases over 170 years of advances in anaesthesia and pain medicine, and is one of the largest and most diverse collections of its type in the world. Having such a significant collection allows us to look back to a time before anaesthesia was available and follow its development and transformation, from an unskilled and unreliable art into a highly scientific medical specialty. The museum is housed in the heritage listed Victorian Italianate building, Ulimaroa. It is one of the few intact examples of Melbourne boom time architecture along St Kilda Road. All visitors are given a guided tour of the museum which includes a brief history of the building, and its interesting name. The museum is easily accessed via public transport along the St Kilda Road corridor. On street parking is also available.